KGF is amazing that a regional film has managed to withstand the competition from two big Bollywood releases - Shah Rukh Khan's Zero and Ranveer Singh's Simmba. SRK's Zero fell flat at the box office and couldn't beat KGF at the ticket counters. However, Ranveer's Simmba, which hit the screens on December 28, has made a significant dent on KGF's business. But the Kannada film has sailed through, managing to continue its commendable run at the box office. According to reports, KGF Chapter 1 has crossed the Rs 150-crore mark. Though the official figures have not been released, reports suggest that the film has easily zoomed past the milestone. Bollywood trade analyst Taran Adarsh took to Twitter to say that the Hindi version of the film is performing well even in its second weekend. Made on a budget of Rs 80 crore, KGF Chapter 1 is the costliest film made in the Kannada film industry till date. 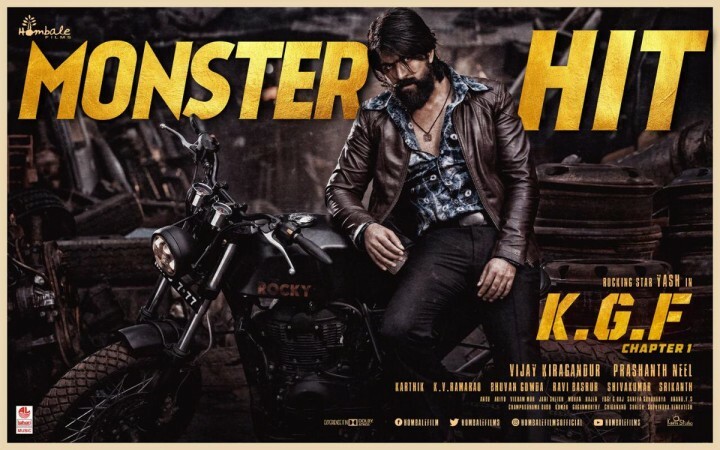 Starring Superstar Yash, the film is about the rise of a gangster, Rocky. Prashanth Neel has directed the film, which also stars Srinidhi Shetty in the female lead role. The film received predominantly positive reviews but was also criticised for its unimpressive second half.